5 January 2013 – Day 3 of our mission trip – proved to be one our busiest. It was also a pivotal day because it was when we started to really bond with the youth. We were picked up early from Tibar to head to Agung’s house for devotion. But first thing’s first – breakfast! Apparently, there was this vendor of delicious bread in the village. When we pulled up at the baker’s house (there was no shop), a lady sitting on the front porch yelled something inaudible in our direction. Panic and disappointment set in. Could it be that they had sold out of this amazing bread that Agung and Gary had been feasting on for the last week – and we were going to miss out? To our relief, and after a 30 second drive up the gravel road, we intercepted the baker’s cart. What the lady had said was that the baker had started his rounds and that he was already on the road! Phew…. 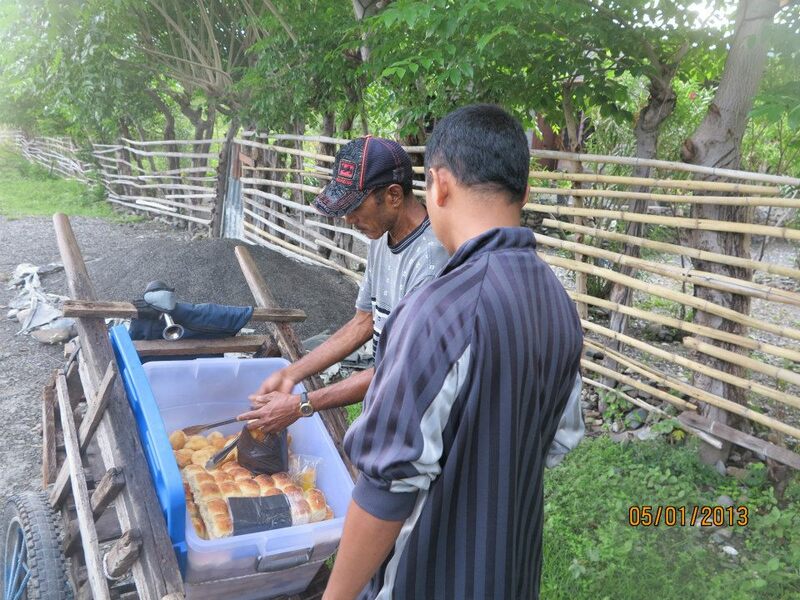 Agung picked up a couple of bags of the bread, still piping hot – out of the deep fryer! And all for USD2. 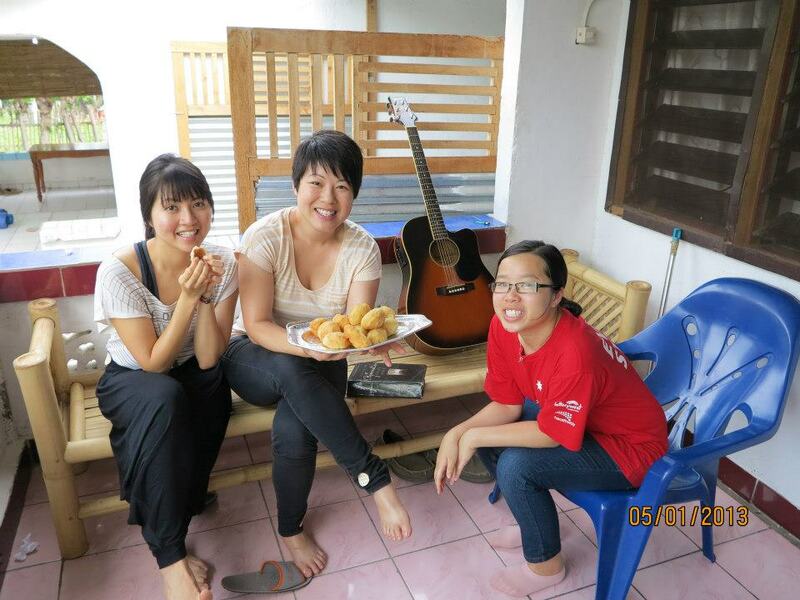 We returned to Agung’s house to feast on our delicious rounds of fried dough. Artisan bread this was not. But you can’t go wrong with “bread” and “fried” in the same sentence. I had 4 pieces. After breakfast, Gary and I began to jam together on the acoustic guitars. We had brought one of the guitars over from Singapore under the guise that it was my guitar, but the team had actually bought it as a gift for Agung which we would present to him at the end of the trip. As Gary and I began to sing “Draw Me Close”, the others began to join in and before we knew it, we were deep into worship. It was something that had been missing during our preparation in the weeks leading up to the mission trip, but now, we were really lapping up the presence of God. Our devotion time had spontaneously combusted into worship. Gary had asked that we focus on the book of Ephesians for our devotions for the entire week. It was such an apt context for our mission trip and specifically for our team. That morning, we were on Ephesians 3. His intent was that now, through the church, the manifold wisdom of God should be made known to the rulers and authorities in the heavenly realms. God had chosen the church, united in love, to display His wisdom – a mystery that had been concealed through the ages – that is, His grace. And it was a timely reminder for us to clothe ourselves with grace and humility as we served the village together. We were soon off to the village where two large pieces of tarp had been spread over the ground as a seating area. We were told that there is a phenomenon known as “Timor time” – if you set a program to begin at 10 am, people might only rock up at 10.30 or 11 am. 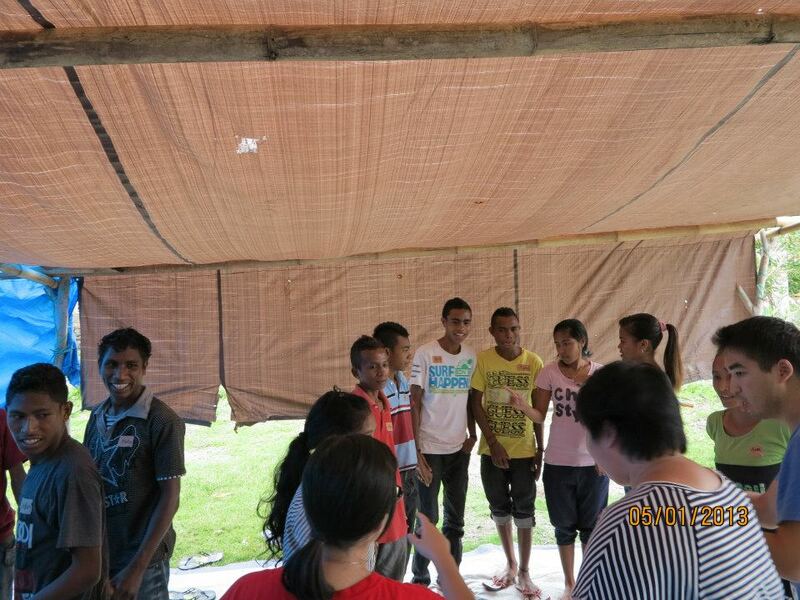 Before long however, a pretty big group of youth and children had gathered for a time of learning some basic English. Wen started with some games. Even though none of us were experienced children’s church workers, the strength of our team, I think, was in the fact that many of us had grown up in the church. Deep in the recesses of our memory, we still remember some of the things we were taught when we were kids and with a bit of Holy Spirit quickening, we were well on our way (or at least Wen and Ernie were) towards a great time of games and icebreakers. One of the more popular games we played was the atom game. Wen would call out a number and everyone had to get into groups of that number. Another game we played involved organising our teams according to various characteristics, for example, the size of our feet -from the smallest to the biggest. I kind of figured out that I would be somewhere towards the end. After a few rounds of games, our teacher, Ms (Ling) Chua took to the front of the class to teach the kids some questions and answers. The objective was to get the kids to use English conversationally. Ling was really in her element, even though she swears that she can’t stand children. The anointing must have overtaken her at that moment. 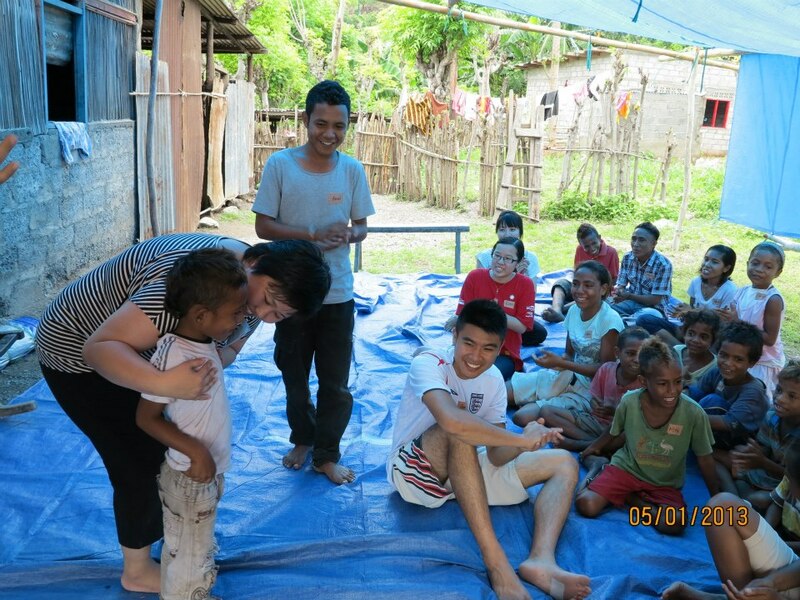 We really connected with some of the youth who could speak some basic English and were bold enough to converse with us – such as Miki. She was incredibly bright and could hold a conversation. After the session finished, I was feeling pretty tired. It was getting rainy and I had caught a cold. Thank God that one of our team members had brought a stash of cold tablets (by the end of the trip, I had depleted his stock). I was well and truly drugged up by then but running on adrenalin. We returned to Agung’s house for lunch, and after eating, I duly fell asleep. 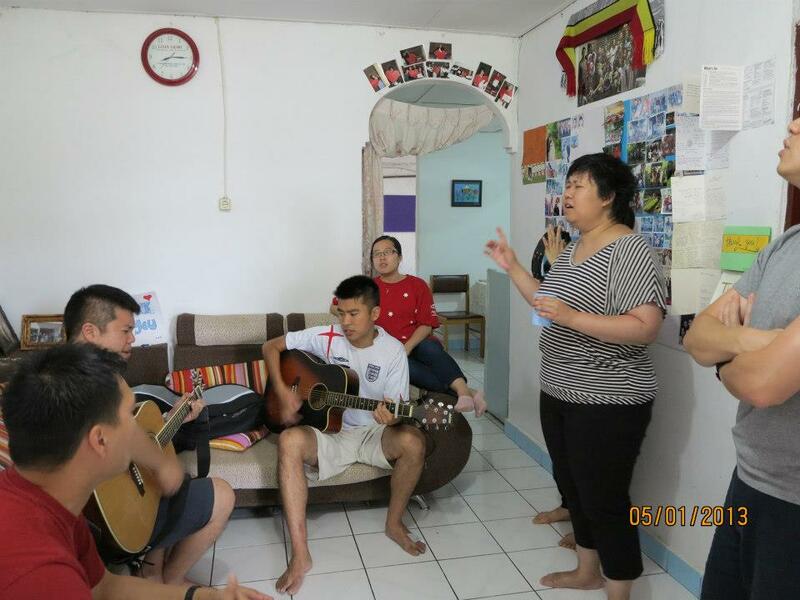 I sporadically awoke to some singing and realised that the team was preparing for a song item because the youths were coming back to Agung’s place for dinner after the afternoon program. I had to decide: should I wake up and help, or lie in bed, enjoying the airconditioned room. The latter option was a no-brainer. It’s amazing what a short nap can do. Before long, we were back in the Land Cruiser, heading into the village again, this time to train the youth to conduct children’s programs. This was an important plank in our ministry. As I mentioned earlier, many of us had grown up in church and we knew that the seeds of truth that were sown in our lives at an early age had remained with us, even if they were taught through simple children’s songs. 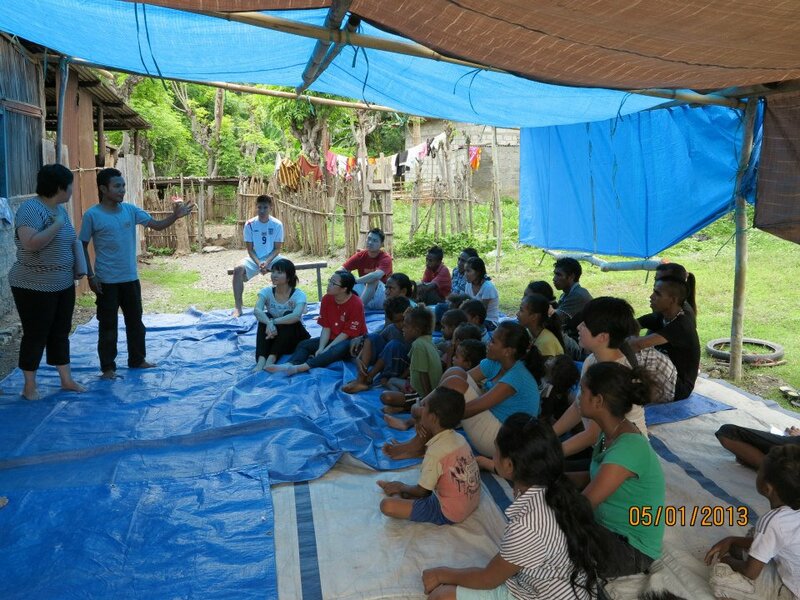 If the ultimate goal was to plant a self-sustaining, indigenous church in the village, then teaching the children in the ways of the Lord would play a critical role in achieving that vision. We taught the youth some icebreakers they could play with the children, three songs they could teach the children (“With Christ in the Vessel”, “He’s Able” and a third song which escapes me for the moment) and also how to communicate truths through short skits. In the process, I also put on an Oscar-winning performance in An Example of Kindness. The audience were thrilled and moved at the same time. We got back to Agung’s house to set up for dinner before a car load of youths arrived. We really had a good time eating with them and playing more games with them, including musical chairs. At the end of the night, two of them even performed a mock-conversation in English for us. I was impressed. By the end of the day, we had formed some strong bonds with some of the youth. 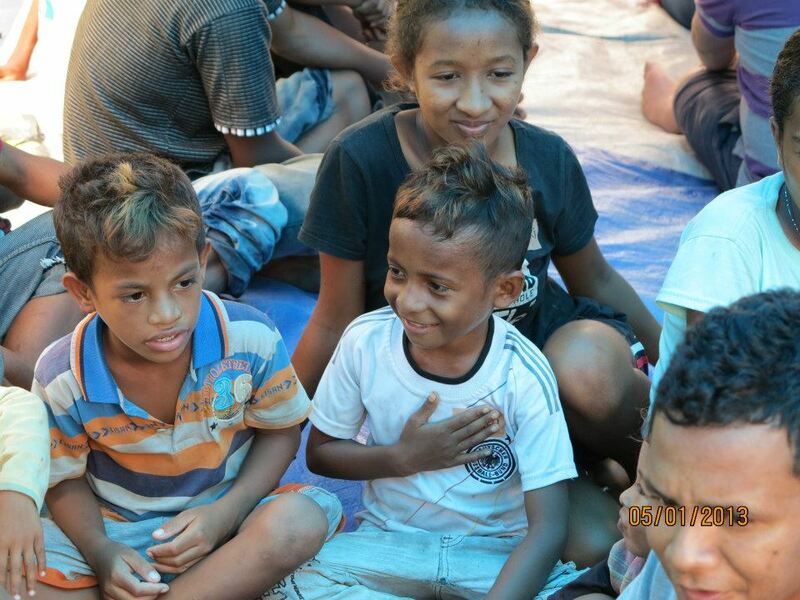 I couldn’t help thinking that some of them might well be the leaders of the Timorese church in time to come.